Well release was delayed. blame hurricane Harvey, I get back to work tomorrow and I'm pulling the lead out, I hope to have the update out tuesday. Can anyone tell me roughly how much memory I would need to run a small-to-medium-ish size server (~50 slots?) with Traincraft and one or two other mods? Before I start making concrete plans for a server I would need to know how much it would cost, and in order to do that I would need to figure out how much memory I'd need. 50-ish player slots is a feat when they have to deal with the spaghetti mess that is traincraft's networking, movement, and registry code. You'd need something that's a really strong quad core (remember MC can't use more than 3 cores in most cases, so 10 core servers are marketing scams), and RAM wise you'd need at least 6GB. They would also have to have some pretty strong internet that's preferably milti-banded. You might have better luck looking into linux servers when it comes to pricing and meeting the needs properly, assuming you know how to work them. When can we see something about 1.11.2 version? No idea, canitzp is working on it though and we did have someone new jump on the 1.10+ ship so maybe that will help it move along. Pretty sure 1.11 will not come before they do 1.9/1.10 first anyway. Oh 1.9 will definitely come before 1.10+. But 1.11 shouldn't be too far after 1.10 from what I hear. I will be doing a stream of further progress on my twitch in 1 hour. I am unsure if I will have it finished for 010 though. I've found a bug. Whenever I take a train with me and later destroy it, some wagons duplicate. I've seen this with the Log transport (4290), Freight Wagon (4330), Small Freight Car (4316) and The A4 Mallard Tender. I'm afraid it occurs with (many?) more wagons and/or tenders but I'm not sure since I don't have them all. Yes, yes it is really bad, It is worse on servers, the more server lag the worse it is I believe, there has been a dupe glitch with trains since 1.6.4 when they added the new 3D tracks. EMD F7 FINALLY prepped for paint! But will it make it in 010? The real question is actually, What schemes will it come in? Santa Fe? Union Pacific? Southern Pacific? Yeah the dupe bugs are fixed in 010, along with a bunch of other bugs, there's some performance enhancements, 5+ new trains, and 7+ new rollingstock. And a few new skins that I lost count of. Hopefully release this Friday, maybe sooner. Nope I am doing this for initial release of the F7, Why because then no one can complain that theres one company over another! Wait why was the newest version taken off Curse? Edit: kk Nvm The C62 is broken. Plus other bugs were found, they are in the process of fixing them. Join My Server The Valley! NOW ON DISCORD! GO TO THE FORUM TO GET TO THE OFFICIAL DISCORD! Survival, Creative, no PvP (May change). Come Join today! Please let me know what you think of my modpack as it's my first one. Understandable have a great day. 4.3.2_010 is a wonderful update from what I've recently experienced. Oh Same, The new trains are nice. well it was intentional but render was just messed up. The first release of 010 was a mistake from one of the team members he thought I already reviewed everything and pushed it because everyone was really hyped. In fact: Nothing was checked at that state so he pulled it of Curse that I can review everything. The reports made the check faster but we had a lot of stuff to correct. And I did a Night Shift for Traincraft until 9:30am when I finally went to bed. And we pushed a new Hotfix 011 update. some bugs passed the check accidentally in 010. Is the heavy tender gonna get a Engine again tho? I don't know. If we get a Traincraft version where it is in we could look into it. 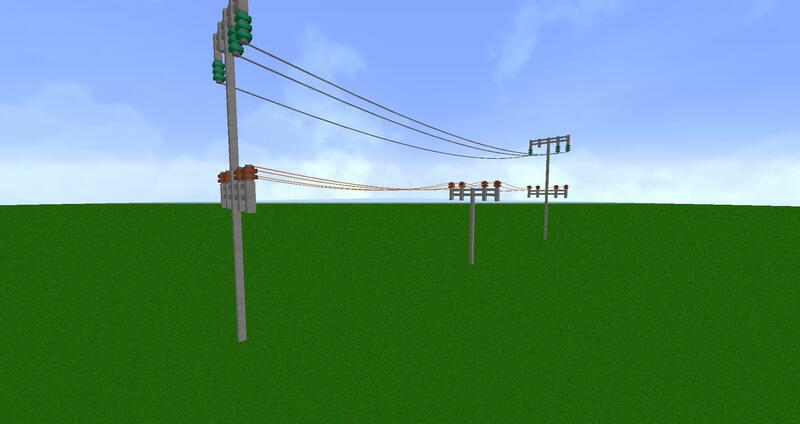 I have following idea about overhead wires: connectors with real wires. Maybe it is possible to adopt similar thing, but simplier (just straight line, not catenary curved one) for traincraft electric locomotives? 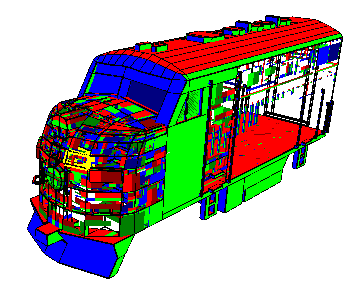 and if train will detect wire nearby, it is possible to calculate if train bounding box match wire coordinates. Thanks to this, you would be able to make electric traction any along curved, sloped or diagonal tracks, by placing polygonal chain of straight wires.